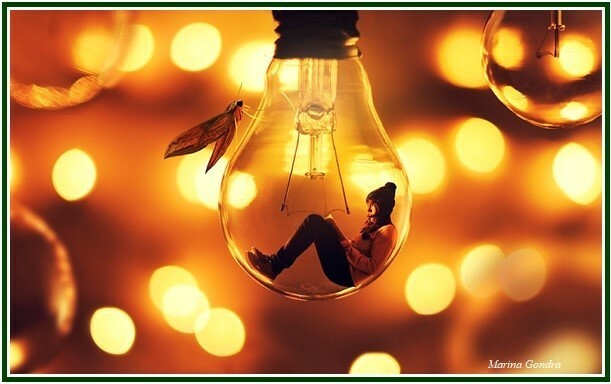 “Be a lamp unto yourself”, says Oriental tradition: “enlighten yourself”. Spiritual light must be found within human soul. After that, the separation between inner and outer vanishes and the unity of all things is seen. The awakening depends on one’s relationship to the teachings. Is the interaction with the source of knowledge effective and practical? How does it get expressed in everyday life? How altruistic is one’s motivation? Being a lamp depends on our attitude towards ourselves. The pilgrim must be a teacher to his lower and “animal” self, and – at the same time – a humble student to the voice of his conscience. Living the light means having that confidence in the future whose foundation is something called direct knowledge. On the other hand, the absence of a clear notion of the law of cause and effect provokes moral decay and widespread falsehood. Whenever the citizens pay more attention to their rights than to their duties – to the benefits they can obtain, rather than the help they can provide others – a Karmic deficit establishes itself, due to the excess of narcissism and childish attitudes. Disguising one’s narrow-mindedness is of no use. Selfishness dominates the social process – in nations as well as theosophical associations – as long as people try to obtain that which they do not deserve, or make efforts to harvest things they did not sow. As a result, greed and anger produce a whole new tide of destruction, starting from within the souls. The right thing to do is to dedicate one’s life to things which one sees as true, as morally good and ethically beautiful. Inspired by the best of ancient wisdom, German thinker Samuel Pufendorf (1632-1694) wrote remarkable works on the duty of human beings and the natural law. Yet since the end of 18th century the agenda of social movements adopted the sad illusion according to which, by merely destroying what we see as other people’s errors, harmony and virtue will prevail; and by simply eliminating whom we consider unjust individuals, justice will reign. Such a “politically progressive” doctrine ignores the law of Karma. It supposes all we need to solve human problems is to take possessions from the rich and give them to the poor. No inner transformation is needed in one’s mind. The very existence of our souls is often denied. As a result, we have had – side by side with materialistic progress – a number of failed revolutions, countless revolts, endless examples of cruelty promoted in the name of beautiful ideals, and an unfinished series of social disasters and calamities often promoted with good intentions. Yet collective selfishness, even if disguised or subconscious, can build nothing. When a community obtains common sense and discernment, on the other hand, its life is organized on the basic principle that one needs to sow kindness in order to harvest it. People then realize that the first step to improve social life is to adopt a constructive attitude. And that no human rights can be respected, if people do not fulfil their duties in the first place. One must act with justice to all beings, in every situation. Once the good Karma ripens, nice results will be seen. It is convenient therefore to improve our view of reality, instead of fiercely fighting systems of thought that are different from our own. An intense denunciation of those who think different indicates we are leaving aside that task which nobody else can do for us: to reform ourselves. Honest criticism and sincere dialogue are most useful. Their absence produces hypocrisy. However, destructive attacks are worse than useless. Criticizing others is often an excuse not to improve oneself. Let us see an example. It is not a good idea for the Western heads of state to expand intercultural tensions with Russia or China, or to stimulate hatred against Israel. Respect among nations is a basic tenet of common sense. The Western society must leave hypocrisy aside and improve itself, so that its practical example in ethics (once it starts taking place) can reach other regions of the world. As part of the process of self-improvement, the lack of ethics of dogmatic religions which promote corruption, anti-Semitism, crime and violence against innocent civilians should be unmasked and shown as despicable, in Western countries and everywhere. The “dominant” nations of the West have many a lesson to learn from the wisdom of India, from Russian and Chinese philosophies, from the Jewish wisdom tradition and the cultural wealth of communities around the world. Rich nations have something to teach, too. Regardless of the country or community to which we belong, if we want to improve life on the planet, one of the steps to take is to identify and unmask the organized systems of falsehood and ill-will, starting with our own. See for instance “On the Duty of Man and Citizen According to Natural Law”, Samuel Pufendorf, Cambridge University Press, UK, 1991, 183 pages. Click to read the article “Vinoba and the Power of Good Will”. The above article combines two notes published at “The Aquarian Theosophist”, July 2017, pp. 1-3. They had no indication as to the name of the author. “The Art of Becoming a Lamp” was published as an independent article on 7 October 2018.